Long positions above 1300.00 with targets at 1306.00 & 1308.50 in extension. 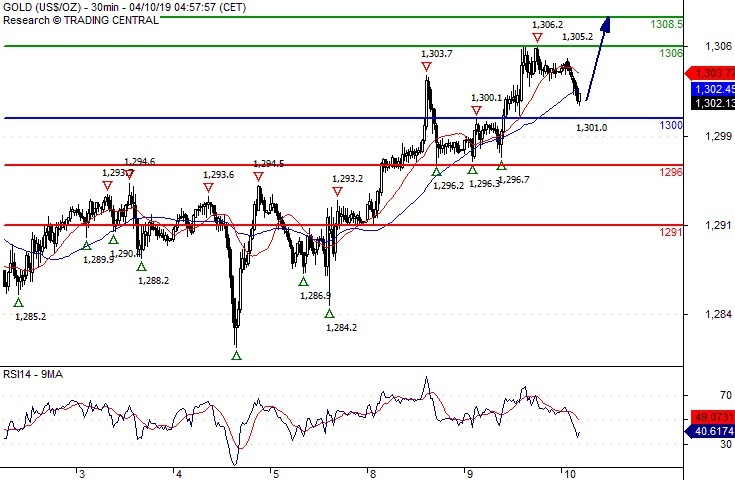 Below 1300.00 look for further downside with 1296.00 & 1291.00 as targets. Break of a ST rising trendline support. Short positions below 15.2500 with targets at 15.0400 & 14.9800 in extension. Above 15.2500 look for further upside with 15.3400 & 15.4600 as targets. 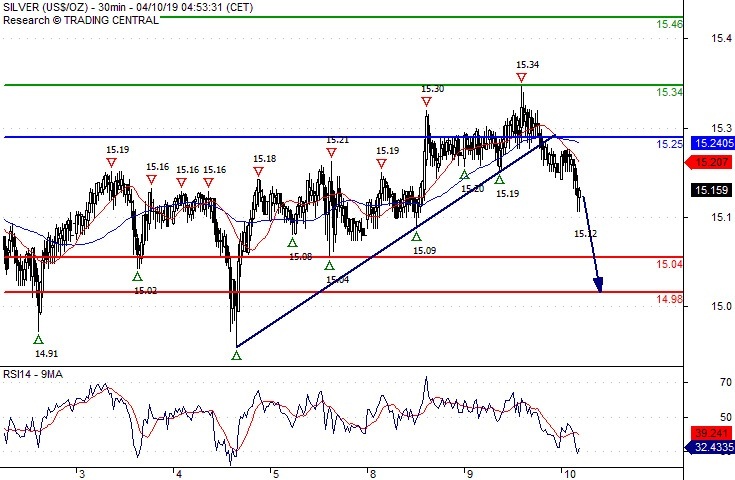 Short positions below 64.45 with targets at 63.70 & 63.50 in extension. 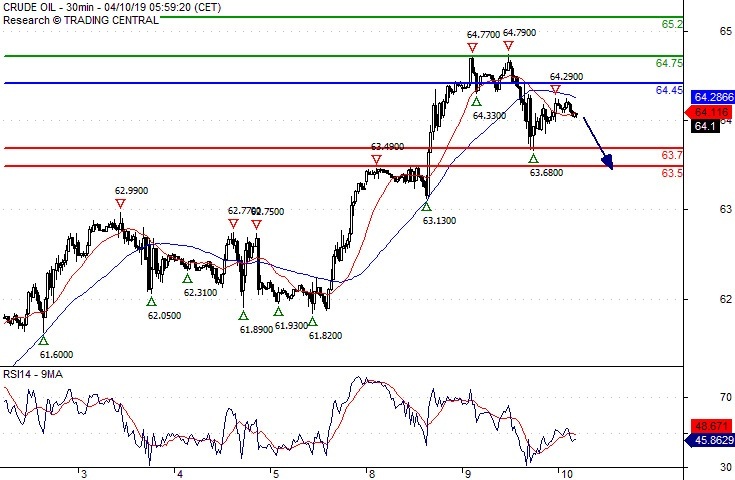 Above 64.45 look for further upside with 64.75 & 65.20 as targets. As Long as 64.45 is resistance, expect a return to 63.70.